CLEVELAND, OH – Great Lakes Science Center and the Greater Cleveland Aquarium are teaming up for a special fall 2-for-$20 package. For two weeks in October, guests can explore both downtown attractions for just $20 all in – a savings of 23 – 42% per guest. The special 2-for-$20 combo ticket can be purchased online. It is good for one visit per attraction for the dates Tuesday, October 3 – Saturday, October 7 and Tuesday, October 10 – Saturday, October 14, 2017 from 10am - 5pm. Tickets purchased online must be redeemed first at the attraction from which they were purchased. Combo 2-for-$20 tickets also will be available at each box office location but only during the two weeks of the promotion. Science Center President & CEO Kirsten M. Ellenbogen agrees. “Both destinations inspire an appreciation of science, be that through nature or experimentation,” says Ellenbogen. 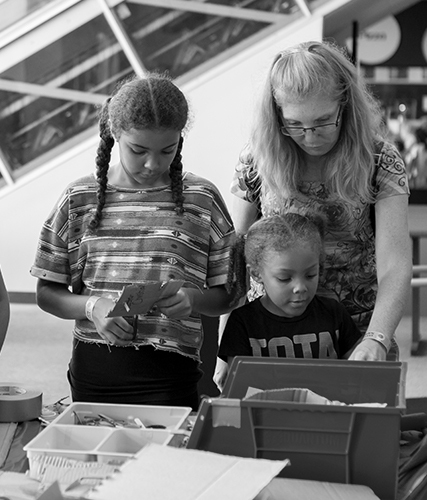 “The science center brings science, technology, engineering and math to life while the aquarium brings you nose-to-nose with aquatic life.”. Greater Cleveland Aquarium Pass Holders and Great Lakes Science Center Members can show their cards for a special $10 general admission fee at either destination throughout the 2-week promotion. This offer applies to guests ages 2 and older. It is good for one visit per attraction and cannot be combined with any other discount or used for special events. For complete details or to buy 2-for-$20 combo tickets, visit greaterclevelandaquarium.com or GreatScience.com. 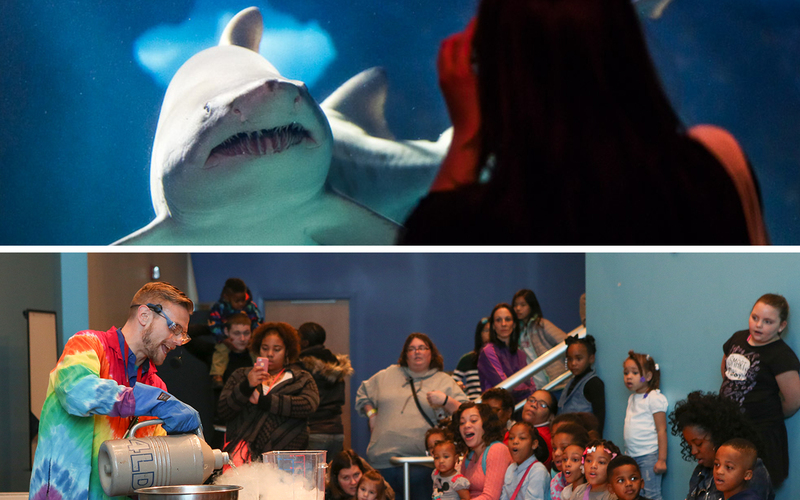 GREATER CLEVELAND AQUARIUM energizes curiosity by passionately educating and entertaining guests about aquatic life and conservation. This mission is brought to life through captivating exhibits rich with aquatic biodiversity and engaging, family friendly guest experiences. For more information on the Greater Cleveland Aquarium, visit greaterclevelandaquarium.com.